April 1st - HOsted by fitness options! This detox will consist of 5 weeks worth of coaching from Rachel - 1 pre-detox week, 3 weeks of detox and 1 post-detox week. There will be 3 in-person sessions held at Fitness Options. If you can’t make in the in-person sessions, don’t worry. There will also be weekly emails and daily communication via a private Facebook group. You do not need to purchase a 21DSD book but it is recommended! My favorite out of all the books is the 21DSD Daily Guide. This will give you the most resources and has lots of great recipes. The additional value of purchasing your own book is that you’ll be able to use it as a reference after the detox and be able to put yourself through another detox whenever you’d like! Purchase OR download the 21-Day Sugar Detox Materials HERE. You have a few different options as spelled out on the 21-Day Sugar Detox website. You may also choose to order the Program Guide by it's self via Amazon HERE or just the Cookbook HERE. *april 2019 - For all in person participants, please visit fitness options to sign up and pay! If you’re joining the april 2019 Detox remotely, please sign up and pay below! The 21 Day Sugar Detox is a real food-based program designed to reduce and/or eliminate your cravings for sugar and carbohydrates. This three week program focuses on quality protein, healthy fats, and good carbs (aka lots of veggies!). This program not only changes the foods you might normally eat but also your habits around food, and even the way your taste buds reacts to different foods. Removing added sugars and very sweet foods retrains your taste buds to perceive sweetness. You'll find that foods you once thought weren't sweet at all become quite sweet as you move through the detox. Your experience on this program will be much different from other "diet" programs out there. By changing the foods you eat everyday, you will begin to gain a new understanding of how food works in your body and just how much adequate nutrition affects your entire life! How do you know if you would benefit from a 21 Day Sugar Detox (21dsd)? Your energy levels are not up to par; you find yourself waking up tired, lethargic throughout the day or becoming easily fatigued when exercising. You feel like you're on an energetic/emotional roller coaster throughout the day and often rely on that " mid-morning or afternoon pick me up" (coffee, soda, granola bar, etc.) to keep going. You experience "brain fog", cloudy thinking, trouble sleeping and can find it difficult to concentrate on a task. You've tried your fair share of diets or nutrition challenges but have often felt restricted or overwhelmed and haven't felt like you've been given any long term tools for success. How do I complete a 21DSD? This is the awesome part...you can complete a 21DSD anytime, anywhere! The program is totally accessible online and works together with the guidebook and the cookbook, which includes over 200 recipes of delicious, detox approved foods. The online member support forum also gives you access to continually updated and expanded eBooks, guides, audio support, videos, and direct access to the creator, Diane, and her team’s 1:1 advice, social media, and Forums. We want to set you up for success right from the beginning! 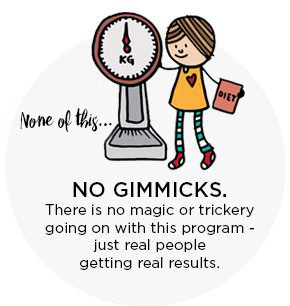 While you're certainly free to sign up and tackle a 21DSD on your own, we consistently see greater success when people participate in a group setting led by a 21 Day Sugar Detox Certified Coach or hire a 21 Day Sugar Detox Certified Coach to work with them one-on-one. That's where my unique expertise and experience comes into play! Accountability - weekly emails, daily contact through a private Facebook group, support and inspiration from others also going through the detox. We're stronger together! Greater value - by investing in coaching to compliment the 21DSD program, you'll get more bang for your buck. I'll make sure you're set up for success right from the start so that neither your time nor money is wasted. Knowledge and expertise - I've not only studied nutrition therapy and the 21DSD program extensively but I've personally experienced it! I've been in your shoes and I still practice maintaining healthy eating and lifestyle habits everyday. I know it can be hard work, I feel you, and I'm here to help. Motivation - from me and your group. It's so helpful to have input, advice and inspiration coming from different points of view. You can take what works for you and leave the rest behind but your group and I will be your greatest source of motivation! Support & connection beyond the 21DSD - what happens on day 22? Maintaining the new habits you've established during the 21DSD and learning how to successfully reintroduce other foods (especially the sweeter ones!) is of critical importance in establishing long term success! BONUS: I also offer a discount on my nutrition services for my 21DSD participants! Digestive support and troubleshooting - your digestion will change during the 3 weeks! I can help you implement techniques to support your body for optimal digestion, heal a leaky gut and/or troubleshoot common digestive troubles. Autoimmunity Support - Living with an autoimmune disease myself and having gone through the Autoimmune Protocol (AIP), I can help support you if you have an autoimmune disease and will be following autoimmune modifications within the 21DSD. Are You ready to make healthy eating last for a lifetime? Next Detox: april 1st - HOsted by fitness options! An exclusive 21DSD Participant Workbook (ebook) and a welcome package of 21DSD goodies! Intrigued but not quite ready to jump in? Sign up for my 21DSD Interest Group below to stay informed about upcoming group starts!